Build your project for one of the supported platforms : Windows, Linux, Mac OS, iOS or Android. At the end of the build, .Peek should open by itself and display the new build report. Congratualation ! You generated your first build report ! If the .Peek does not open by itself at the end of the build it could be you disabled the option in .Peek. See Settings for more info. 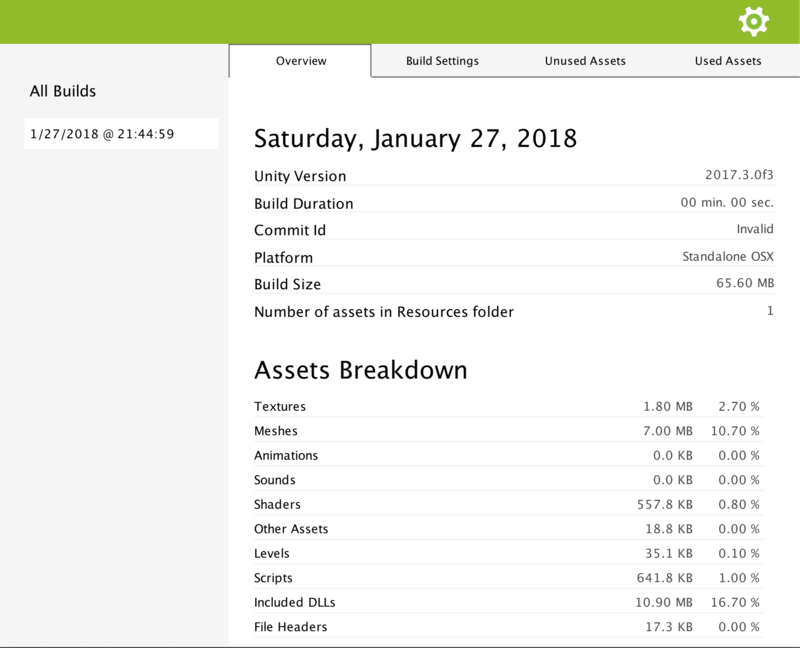 In the coming pages, you’ll learn more about .Peek’s User Interface, and how your build reports are stored and managed.